Transition to sustainability is stuck and academic research has not resulted in significant change so far. A large void in sustainability research and the understanding of sustainable development is an important reason for this. Personal Sustainability seeks to address this void, opening up a whole cosmos of sustainable development that has so far been largely unexplored. Mainstream academic, economic and political sustainable development concepts and efforts draw on the macro level and tend to address external, collective and global processes. By contrast, the human, individual, intra- and inter-personal aspects on the micro level are often left unaddressed. The authors of Personal Sustainability invite the reader on a self-reflecting journey into this unexplored inner cosmos of sustainable development, focusing on subjective, mental, emotional, bodily, spiritual and cultural aspects. Although these are intrinsically human aspects they have been systematically ignored by academia. To establish this new field in sustainability research means to leave the common scientific paths and expand the horizon. 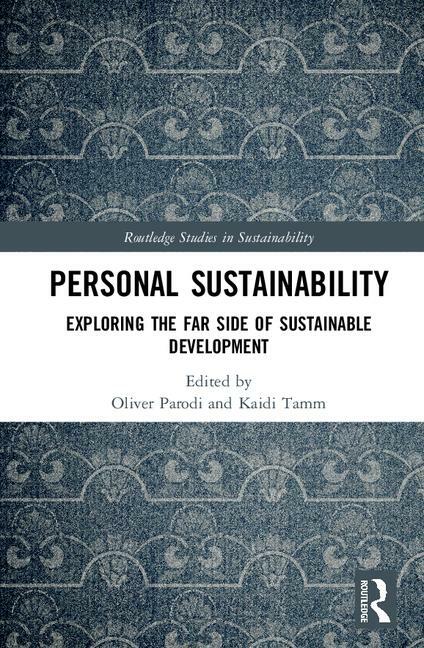 Together with authors from cultural studies, philosophy, anthropology, psychology, sociology, psychiatry, aesthetics and economics, and supported by contributions from practitioners, this book portrays different approaches to personal sustainability and reflects on their potentials and pitfalls, paving the way to cultures of sustainability.